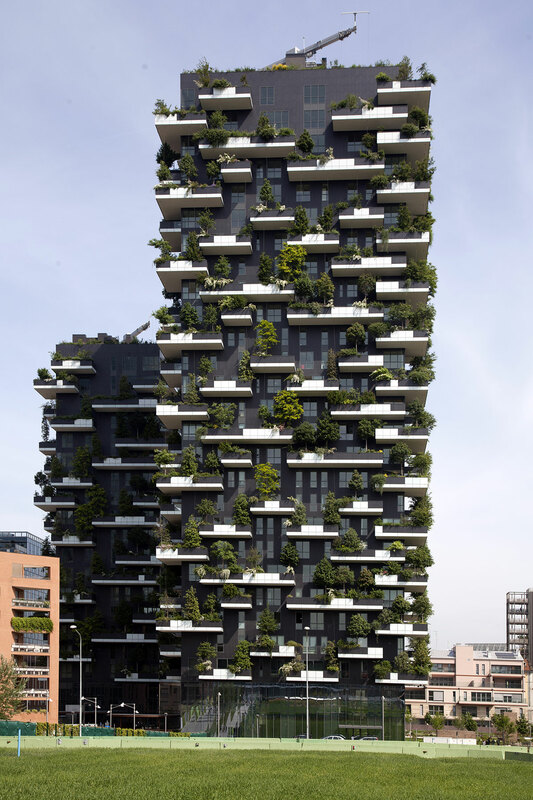 Bosco Verticale consists of two towers designed by Boeri Studio. 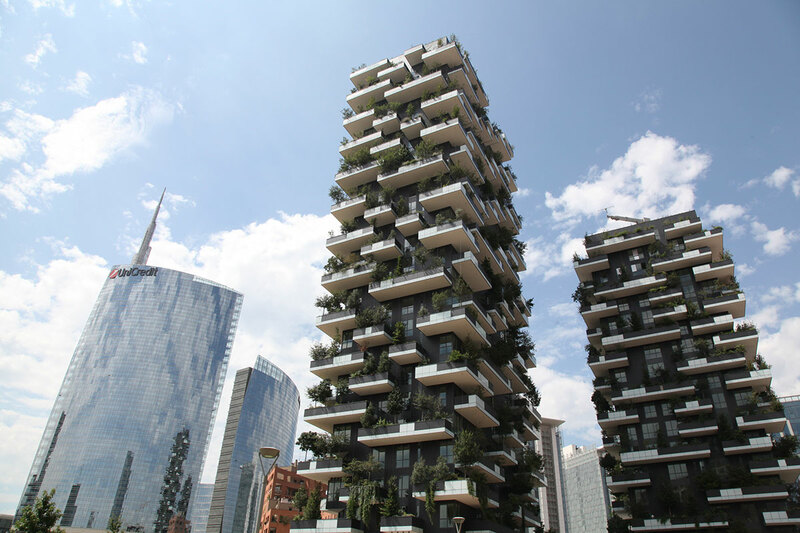 The 110-meter-tall Bosco Verticale Via De Castillia contains 73 residential units. The towers contain landscaping with more than 90 different species of trees, small bushes and flowering plants surrounding the terraces. 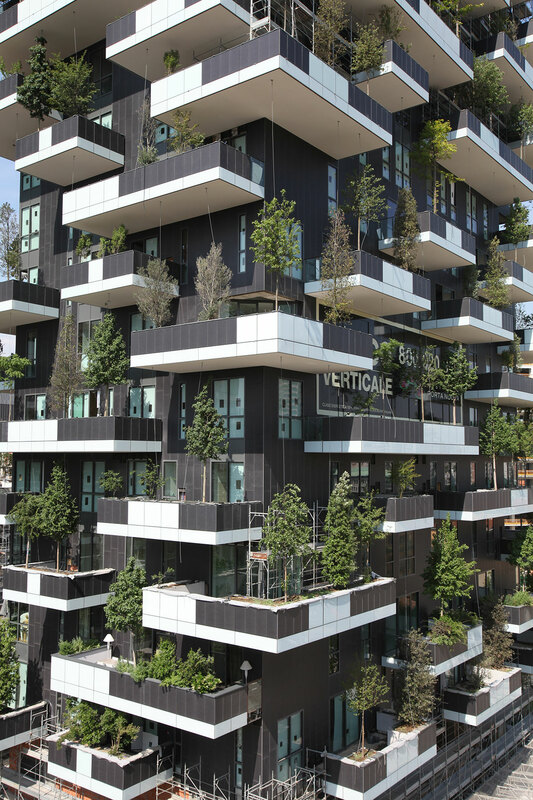 Bosco Verticale overlooks the large Giardini di Porta Nuova Park, and residents can enjoy the 8,000-square-meter Garden De Castillia.